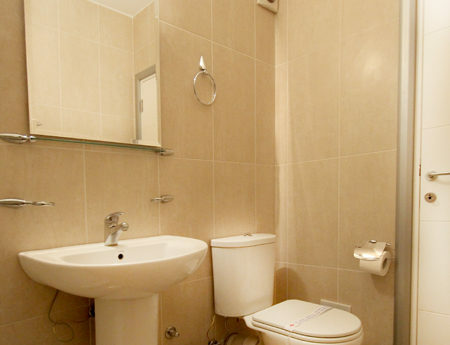 Apartment is located on a quiet street with no traffic in the very heart of the city, only 75m from the largest public square in Belgrade, Terazije, and 150m from the pedestrian zone of downtown Belgrade. 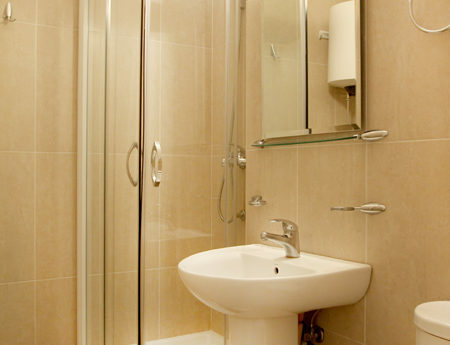 This makes it perfect for both business and rest and provides all the necessary round-the-clock services. 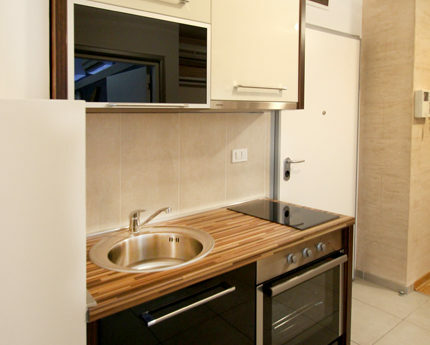 Ideal as a base for exploring the city, apartment also benefits from nearness of train station and inter-city bus station, as well as having a largest green market in central Belgrade at its doorstep, as well as a huge public parking for your visitors. 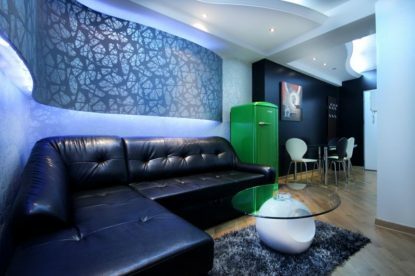 Some of the best bars, restaurants and night clubs are only short walk away, as well city’s most prominent theaters and museums. 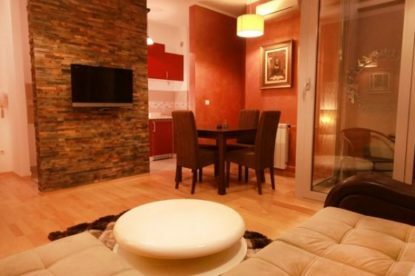 If you want to experience a touch of style and luxury during your stay in Belgrade, SUPERIOR apartment will surely meet your expectations. 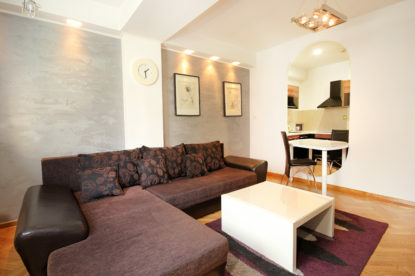 As well as the our other three apartments in the same building, which a have slightly lower per night price, SUPERIOR apartment follows the same pattern of one large bedroom for up to three guests, a spacious and comfortable living room, a kitchen and a bathroom, but with a twist in the form of decorations and artwork you want find in other apartments or hotels. 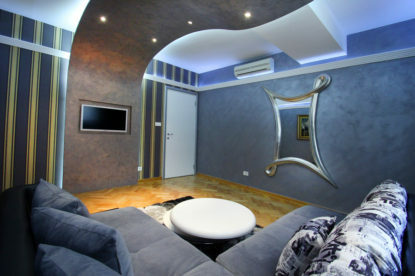 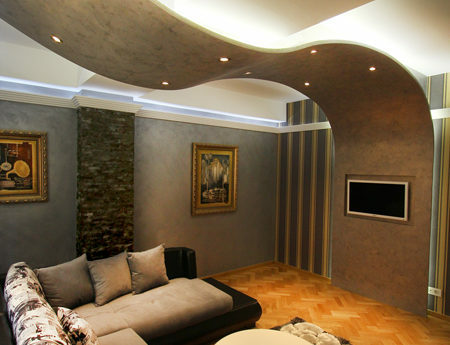 Surfaces are curved and walls and ceilings decorated in multiple colors with many other details that will inspire you.